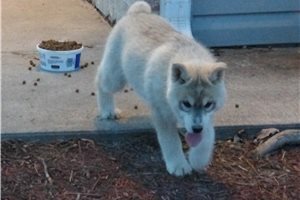 This Siberian Husky nicknamed Clairi sold and went to a new family. 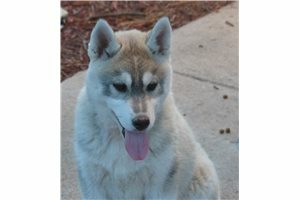 Clairi is a beautiful Gray/white girl with a sweet personality! Both parents have wonderful temperaments and a very nice pedigree. 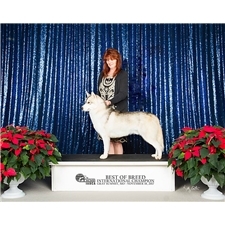 Clairi comes with health record current on all puppy shots, dewormings, $500 limited registration PET ONLY, 1,000 BREEDING FULL REGISTRATION A lot of thought goes into planning a litter making sure parents will complement each other with the goal of producing the healthiest, quality and best temperament puppies possible. All photos are recent and updated as time permits!! Give us a call or e-mail if you would like to give this wonderful puppy a home. 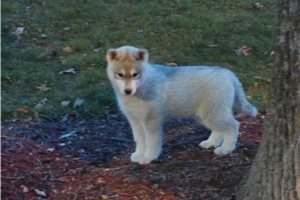 Sometimes we offer puppies or older dogs to responsible breeding homes when available so check with us and see if we have what you might be looking for. WE DO NOT SHIP PUPPIES PLACED AS PETS THEY WILL HAVE TO BE PICKED UP IN PERSON! !